I have not been writing actively since about the time of the U.S. presidential elections. After the last several years of the very heated geopolitical climate, the milieu of the Church and all the passion I had invested in the things I have written about- it was time for a break and a re-alignment of my own spirit. After attending the funeral of my beloved 92 year old Cherokee grandmother and an energizing visit with my aunt and uncle and other relatives- I have decided it is time to wield my voice again- hopefully in a way thast reflects the progression of my spirit as guided by the Holy Spirit. I am hoping to bring out less of me and more of my Master. Let's start with this. This, from my e-mail archives, was merely an attempt to explain to my friends and family where I was coming from around the time of the elections. I think it is an important point in trying to explain my perspective, which is hopefully representative of God's perspective. I receive a lot of emails from acquaintances that I've made over the years. 100% of the political related email that I receive is a bunch of right wing spin with one exception. You are the exception. Your emails appear to be left wing spin compared to everything that I receive. I enjoy and value your emails as I do you my friend. I know that you declare yourself independent as I have seen you state numerous times. Be aware, however, that SOLELY BASED ON YOUR EMAILS I would label you a full blown liberal before considering you to be libertarian as I believe that you would probably prefer. Anyway, it's all perception and opinion that is founded by one's own frame of reference. That's my honest perception be it good, bad, right, or wrong. I listen to NPR a lot recently because I detest commercials. Yesterday there was a very interesting segment with an author that chronicled the philosphies of the early Quakers. They were very disciplined and were driven to create education institutions for the pure sake of knowledge. It was important to them that there leaders were EXPERTS on the United States constitutions and all concepts and philosophies of it's basis. This was a critical point for their choosing a president considering that person is the foremost defender of the constitution. I have not heard this concept uttered a single time this election. Have any of the candidates achieved a sufficient level of expertise of the United States constitution to be true defenders of it? That is the father of some good friends I made in Dallas. He gets credit for launching my career as an armchair pundit. I was in his back yard by the pool one day in 1998 with Chuck and his sons sharing some cold beverages. One of the sons casually mentioned that I was not going to be supporting then Texas governor George W. Bush for his quest for the office of president. Right then and there without asking a single question of me and without nuance he lit into me with a tirade not unlike the ones he's written this week. I barely got a word in. Afterwards, I thought to myself, if this mean spirited fellow is a representation of what conservatism has become, then as now counting myself as a conservative at heart, then this whole "conservative" thing is waaaayyyy off the intended track. This inspired me to start writing and as soon as I could I started doing just that and hitting his e-mail box with challenges to his twisted world view. Needless to say it has not played well with him. I agree that the perceptions of these terms have much to do with contrasts and frames of reference. I am sure I am a flaming liberal up next to Mr. Rowley and most other inobjective, party line toting ideologues. It is a relative term. I can tell you that in Native circles I would be considered very much conservative and traditionalist. I was thinking about this very concept today and came to the conclusion that where the disconnect and misunderstanding lies in this is that I am operating from a spiritual, biblical, Christian conservatism that takes seriously Christ's injunctions against intolerance and the overly militaristic reliance on the myth of redemptive violence and worldly power structures and folks like Mr. Rowley are operating from a very contaminated- by-the- world version of Christianity that for the most part is not authentic spirituality but worldliness and American nationalist, political ideology with a quasi Christian veneer slapped over it. I may be the only one operating with definitions like this that you know- but I stand on what I say. I have said before that these terms conservative and liberal have lost their meaning and what we actually have here in the US political arena is authoritarian and worldly and more authoritarian and worldly. Another thing... Mr. Rowley does not really know me because as you can imagine he is nearly impossible to talk to in person and has little more than his own 'frame of reference" and the e-mails to go on concerning what I think. Lastly, not that I am a constitutional expert, no, none of these candidates both know and honor what the constitution actually says- which I can plainly see even with my own limited knowledge of the document. I tell people I’m a conservative, and that those who try to pass themselves off as “conservatives” these days are really liberals. I can demonstrate this philosophically. In short, the “liberal” position in the Enlightenment (out of which our nation sprang, NB), was “anti-conservative.” The “Conservative” position were those who believed in conserving tradition (in this case the Christian tradition) because of its inherent value (longer explanation belongs here). The Enlightenment philosophers rejected this conservatism because they came to believe that one both could and should “think for oneself.” That is liberalism. Your friend is a liberal. IN our country, as some contemporary philosophers have pointed out, we are all liberals. To be sure, there are “right leaning” liberals like Bush/Cheney, and left leaning liberals like Clinton/Gore, but we’re all liberals. Period. Now, if the idea of “thinking for yourself” is nothing but an Enlightenment myth/lie, then all liberalism is based on a false premise (that “thinking for yourself” is indeed possible) and doomed to failure. That is why the Enlightenment died. And good riddance. May true conservatism live on. If you want to explore this more, see the various works of Alasdair MacIntyre, especially After Virtue. He has some followup books that are also incredibly insightful, but that’s the place to start. As for me (and probably you), I believe we are attempting to conserve the Christian tradition of social justice that begins in the Law of Moses, continues in the OT Prophets, and is revived by Jesus. Romans 8:18-24 demonstrates that God intends eventually to bring all his creation under his kingdom/rule/reign. What that polity would look like is probably best described by the Sermon on the Mount (i.e., what would it look like if people really lived as if God really is in charge?). 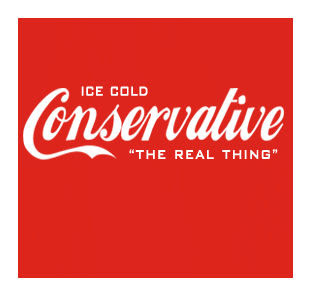 To conserve that tradition is indeed true conservatism. It is NOT “thinking for oneself,” and in fact many things in this sermon don’t make sense on a purely rational basis, but ONLY make sense if one really calls Jesus “Lord” and believes he is king and is in charge and cares about his subjects and his creation. Only on that basis can one have the courage to love one’s enemies and be cheated out of what he/she has lent to someone, etc. Stanley Hauerwas is another author to whom I’m greatly indebted. And one of his mentors was John Howard Yoder, a NT scholar. So, call your friend a stinking commie liberal. J With Christian love, of course.